NYU Hayden Hall Dormitory Renovation, 2015 MAD served as architects for the gut renovation of a 17-story, 1931 landmark building that currently functions as a dormitory for over 700 students. Hayden Hall, prominently situated in NYU's urban campus (along the Western edge of Washington Square Park), acts as one of the University's key freshmen dorms. Along with the reconfiguration of dorm rooms, the building received new program elements such as a commuter lounge (PA for 184 persons) and other student support spaces. All scope, including a complete custom window package was approved by the LPC as part of the renovation. In addition, MAD led a team of engineers and consultant to equip the building with all new MEP, IT and life safety systems to service the 189,000 sf facility. 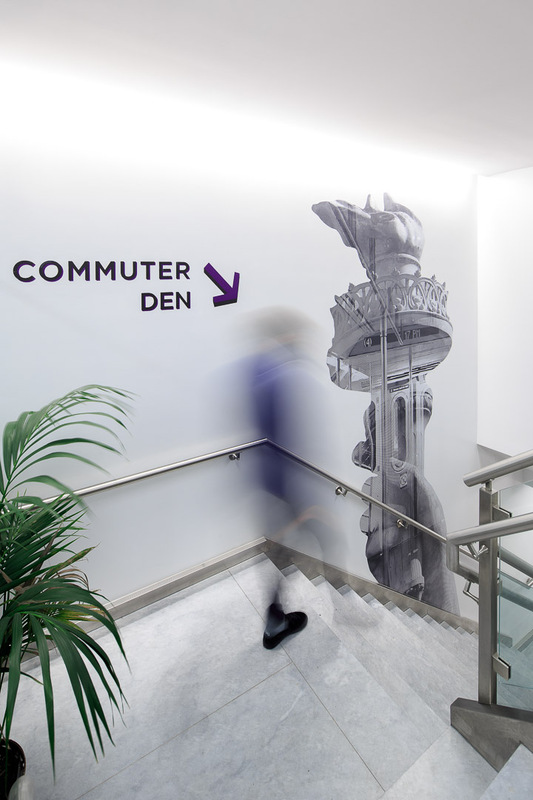 MAD provided all interior, environmental graphic, and signage design and coordinated them with the architecture.